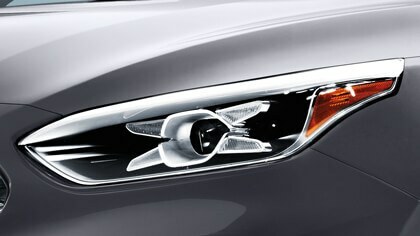 *All vehicle and feature images are for illustrative purposes only. With available Smart cruise control, your Forte continuously monitors the vehicle ahead and adjusts acceleration as needed to maintain a safe distance. Eliminate cable clutter and stay charged with the available wireless smartphone charging pad – conveniently located in the front console of your new Forte. The game-changing UVO Intelligence™ system takes vehicle connectivity to a whole new level. Convenient and essential features including remote start/stop, Find My Car and remote door lock/unlock will make everything about owning the Forte simpler and smarter. Which Forte is Right for You? Drive in comfort, whatever the weather outside, with available air-cooled front seats. 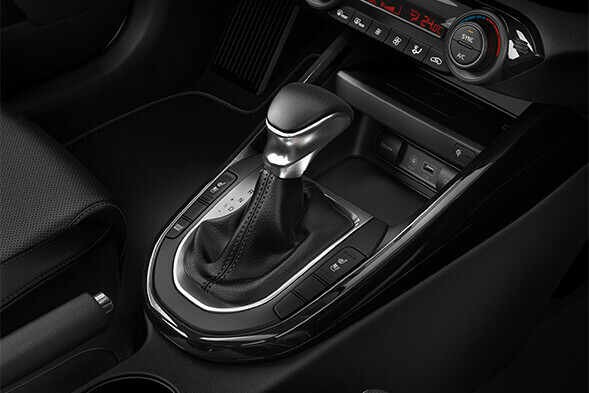 This available feature allows you to set and maintain cabin temperatures. So while you and your front seat passenger might not agree on how hot or cold the car should be, you’ll both enjoy a comfortable atmosphere – with no compromising. When the temperature drops, you’ll be happy to have the standard heated steering wheel and front seats to keep you warm and comfortable. In any weather – and from any spot in your car – make sure all your passengers are riding in comfort with the available heated rear seats. Advanced sensor systems, strategically placed airbags and breakthroughs in material design, that have led to stronger body construction, are just a few of the ways Kia never stops working to help maximize your protection. 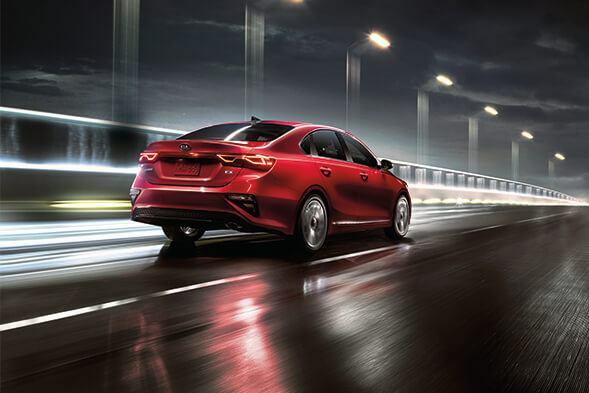 Get Today Your 2019 Kia Forte at Cobourg Kia! Call as at (905) 377-1382 or fill out the form below and we will get back to you. Offer(s) available on select new 2018/2019 models through participating dealers to qualified retail customers, on approved credit, who take delivery from December 1st to January 2nd, 2018. All pricing and payments include delivery and destination fees up to $1,785, $10 OMVIC fee, $29 tire fee, and $100 A/C charge (where applicable). Excludes other taxes, paint charges ($200, where applicable), licensing, PPSA, registration, insurance, variable dealer administration fees, fuel-fill charges up to $100, and down payment (if applicable and unless otherwise specified). Other lease and financing options also available. Dealers may sell or lease for less. Some conditions apply. See dealer for complete details. Vehicles shown may include optional accessories and upgrades available at extra cost. All offers are subject to change without notice. Φ 0% financing is only available on select new models to qualified customers on approved credit. Φ Representative Financing Example: Finance a new 2019 Sportage (SP751K)/2018 Stinger GT ( ST752J)/ 2018 Rio 5 LX+ AT (RO753J)/ 2019 Sorento LX FWD (SR75AK)/ 2019 Sedona L (SD751K) with a selling price of $27,219/$45,119/$19,719/$29,919/$29,669 at 1.99%/1.99%/ 0%/0.99%/2.49% for 84/24/84/84/84 months for a total of 364/104/364/364/364 weekly payments of $72/$442/$51/$79/$82 with $2,825/$0/$995/$2,159/$2,125 down payment. Payment amount includes $0/$1,000/$0/$0/$750 Bonus. Cost of borrowing is $1,734/$895/$0/$971/$2,463 for a total obligation of $27,219/$45,119/ $19,719/$29,919/ $29,669. * Lease offer is only available on select new models to qualified customers on approved credit. Representative Leasing Example: Lease offer available on approved credit (OAC), on new 2019 Soul LX (SO752K)/ 2019 Forte LX MT (FO541K) with a selling price of $22,019/$18,269 is based on a total number of 208/208 weekly payments of $56/$48 for 48/48 months at 1.99%/1.99% with $0 security deposit, $1,995/$675 down payment and first payment due at lease inception. Offer includes $0 /$0 Bonus. Total lease obligation is $11,741/$10,063 with the option to purchase at the end of the term for $9,451/$8,568. Lease has 16,000 km/yr allowance (other packages available and $0.12/km for excess kilometres). † Cash Purchase Price for the new 2018 Optima LX AT (OP741J) is $20,819 and includes $5,000 cash discount. Cash discount varies by model and trim and are deducted from the negotiated selling price before taxes. Some conditions apply. See Dealer for details. Offer ends January 2, 2019. ‡Model shown Manufacturer Suggested Retail Price for 2019 Forte EX Limited (FO847K)/2019 Sorento SXL Limited (SR75KK)/2019 Sportage SX Turbo AWD (SP757K)/ 2018 Optima SXL (OP747J)/ 2018 Rio 5 EX Tech Navi (RO756J)/2019 Sedona SXL+ (SD757K)/ 2019 Soul SX Turbo Tech (SO85DK) is 28,065/$48,865/$39,595/$38,745/$23,745/ $47,865/ $30,095. 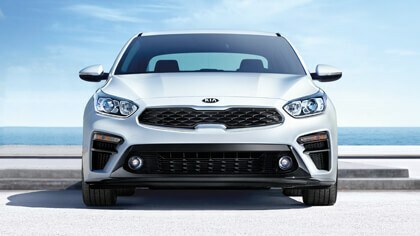 ^Boxing Month Bonus is available on the purchase, lease or finance of a qualifying new and previously unregistered model from an authorized Kia dealer in Canada between December 1, 2018 and January 2, 2019. Boxing Month Bonus amount varies by model as follows: 2018 Rio/2018 Forte/2018 Sportage/2019 Sportage/2019 Sorento/2018 Stinger eligible for $750/$750/$1,000/$1,000/$1,000/$2,000 bonus. Boxing month bonus is available as an alternative to no-charge winter tires. Boxing Month Bonus is combinable with certain other retail incentives and will be deducted from the negotiated price before taxes. No cash surrender value and cannot be applied to past transactions. Some restrictions apply. Please see dealer for full details. Offer is subject to change without notice. Ω No Charge Winter Tire offer available on the purchase/lease of a new and unregistered 2018 & 2019 Stinger, 2018 & 2019 Sportage, and 2019 Sorento between December 1, 2018 and January 2, 2019. Wheels are excluded and may need to be purchased by customer. Installation, storage fees and tire tax are extra and vary by dealer. The brand of winter tires and tire size are at the dealer’s discretion. Value of winter tires varies by trim. Offer is subject to certain conditions and may not be converted to cash. 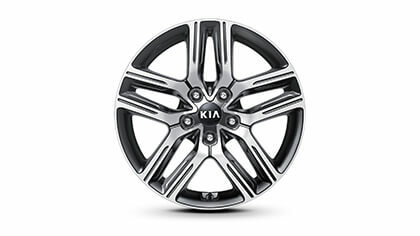 Visit your Kia dealer for complete details. Offer ends January 2, 2019.